John Brack was born in Melbourne and studied at evening drawing classes with Charles Wheeler at the National Gallery School, Melbourne from 1938-40 and again, following the war, full-time from 1946-49 where he studied with William Dargie. In 1950-52 he was an assistant at the Print Room of the National Gallery of Victoria, where he became well acquainted with the collection. He was Head of the National Gallery School 1962-68. 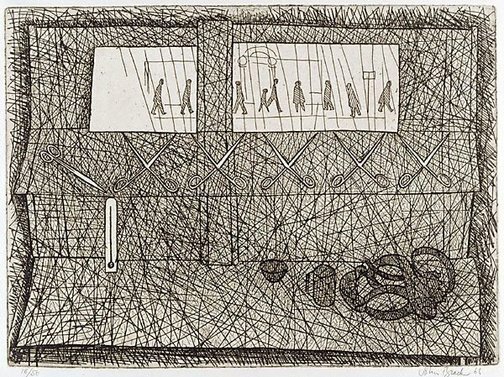 Brack first made prints in 1954, experimenting with etching and drypoint at Swinburne Technical College, Melbourne. In 1963 he began a series of paintings, the so-called 'surgical series', which features images of artificial limbs, surgical tools and related objects, inspired by commercial displays of a Melbourne surgical supplier. 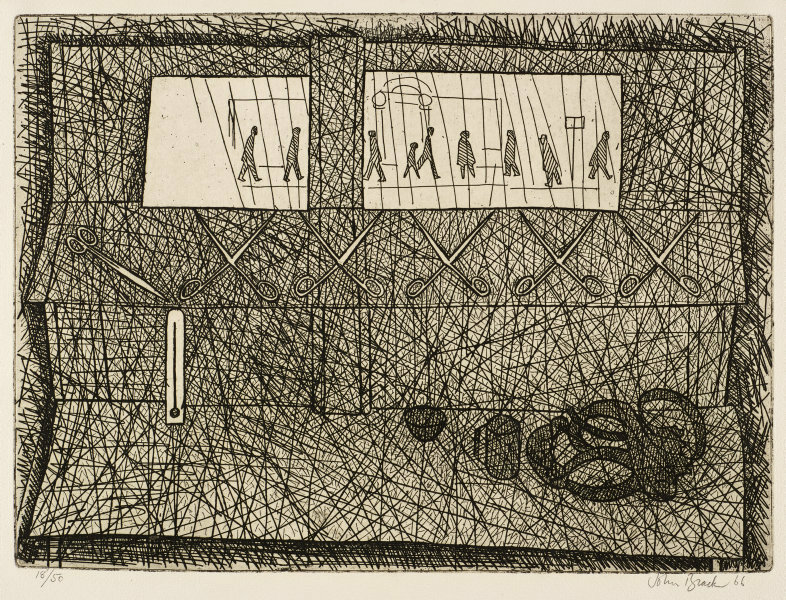 Brack made four etchings based on this theme in 1966 including 'Mirrors and scissors'. Signed and dated l.r., pencil "John Brack 66".